Due to summer vacation, people are planning to have a trip with their families. Travellers are also looking for off-site parking deals on discounted rates. Meet and Greet Heathrow is an ideal deal for every traveller in this amazing and hot summer season. 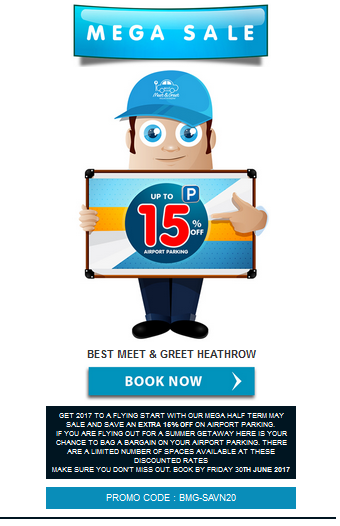 Get 15% discount on meet and greet parking services that are offered by Best Meet and Greet Heathrow. This offer is valid till 30th June 2017.